Today was my regular day off from work. 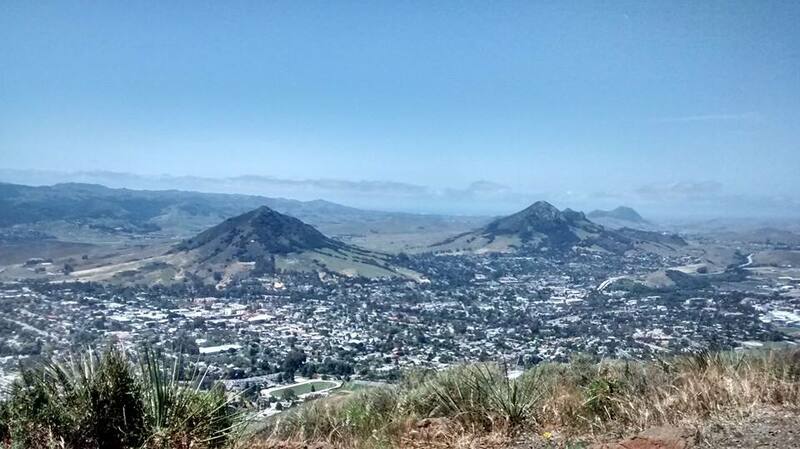 I met my friend Roberta for a hike to another one of San Luis Obispo’s peaks. The last location we hiked was Madonna Peak, and I shared this photo that gave you a view of the prison in the distance. Roberta didn’t know the name of this peak that we hiked today, but across the valley, there to the left of the photo, you can see Madonna Peak that we hiked the last time. To the far right of the photo, you can see Highway 1 snaking its way out to Morro Bay. Follow that road and you’ll reach the ocean in about twenty minutes. Or our house with a view of the water. Either way, this is a really nice area to have access to both mountain peaks and the ocean. It is also a good area to eat a huge fisherman’s platter at a dockside restaurant one day and then take a hike to burn off all those calories the next day. Categories: Fitness | Tags: fitness, San Luis Obispo | Permalink. 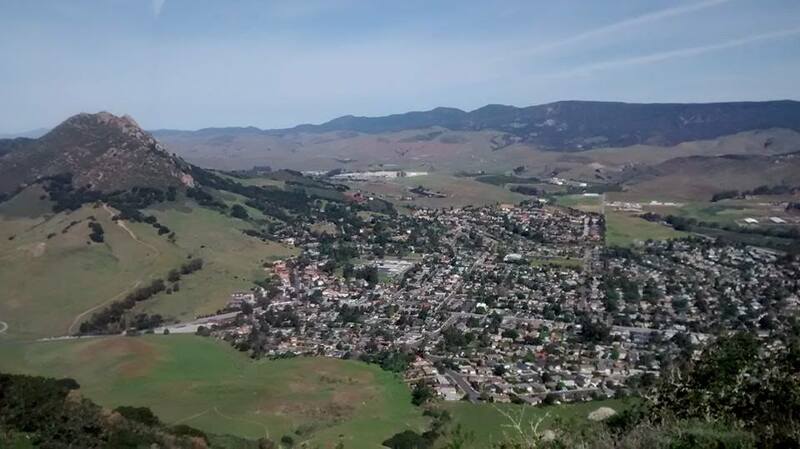 Today my friend Roberta and I hiked to the top of Madonna Peak in San Luis Obispo. It was a good workout and something I need to do more. The neat thing about the view was that we could see the prison where I work. If you look in the upper center portion of the photo, you’ll see a line of light-colored buildings. That’s it. It looks small in the photo, but I promise you that’s it’s actually a fairly large facility. It is also not that close to the city as it appears to be. The other thing I did today was finish my multi-colored pastel granny square. (Well, I didn’t really have a choice– I ran out of yarn.) It measures approximately 12″ by 12″, which doesn’t really amount to anything useful. I’m thinking of frogging the whole thing. Maybe I’ll make a hat. Categories: Handmade | Tags: crochet, fitness, Madonna Peak, San Luis Obispo | Permalink.